There are many things in this world that I love. 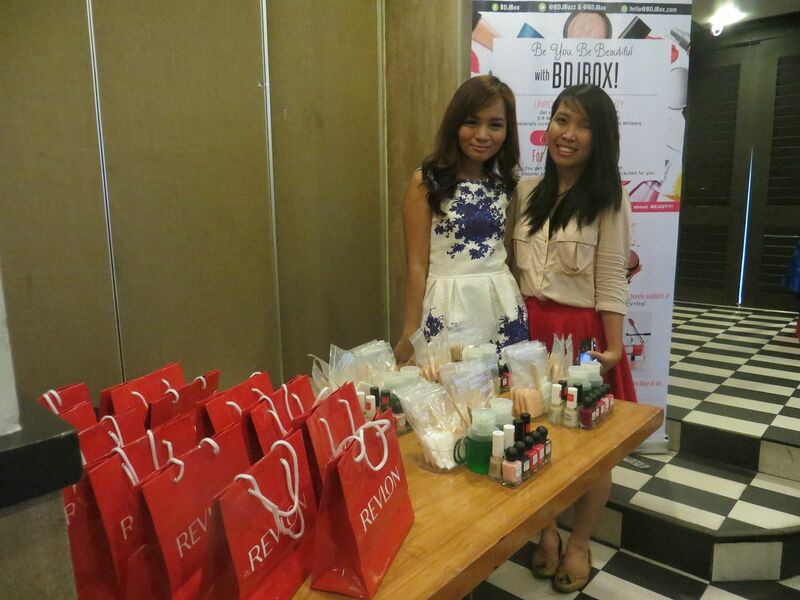 Some of them are nail art, nail polishes and BDJ box! 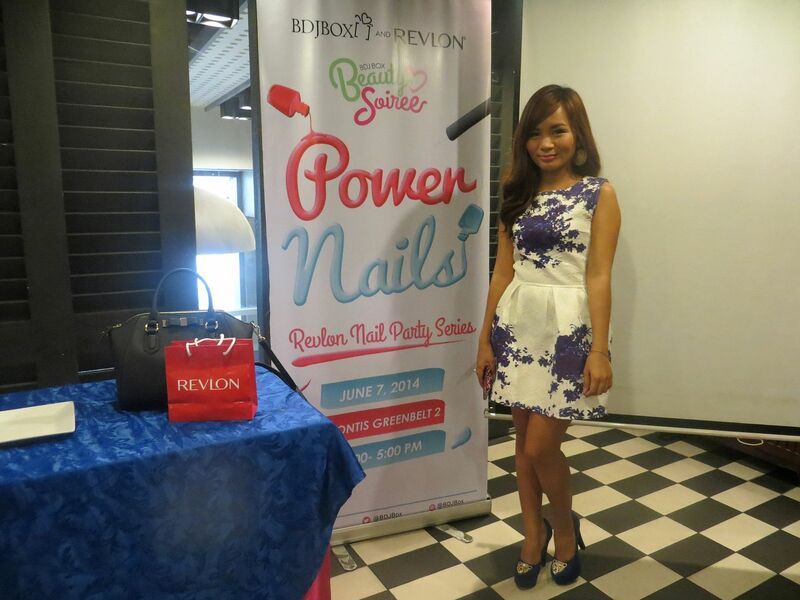 Revlon and BDJ decided to put them all in one event and luckily, I was invited. Yay! 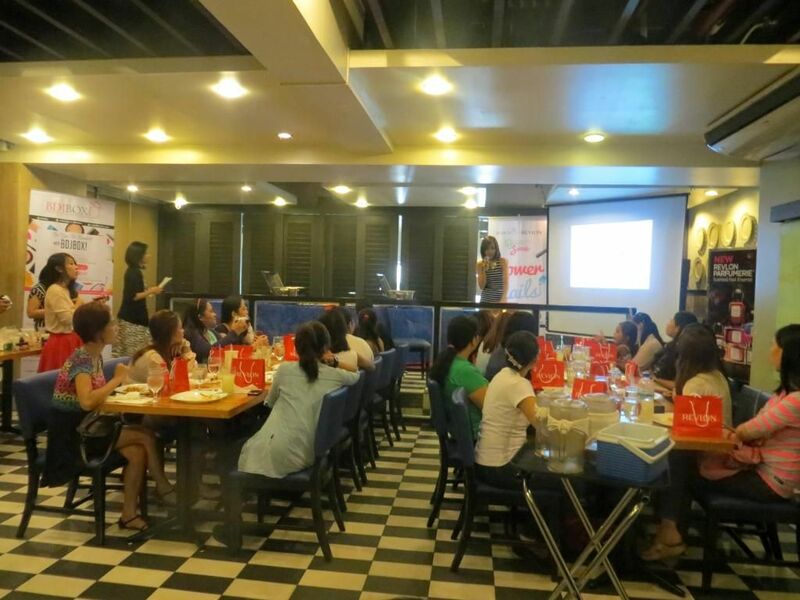 The event was held yesterday, June 7, 2014 at Contis' Restaurant in Greenbelt 2. 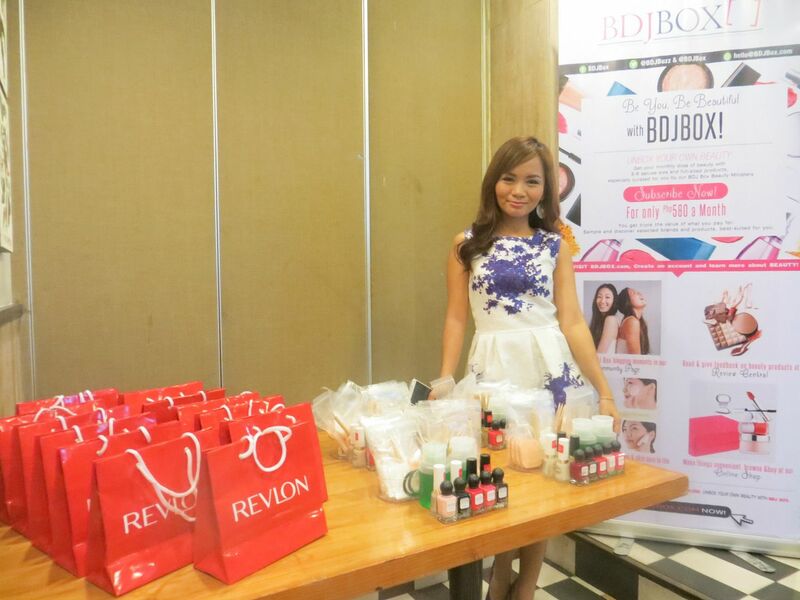 Thanks to Ms. Leah of BDJ Beauty Box for inviting me! 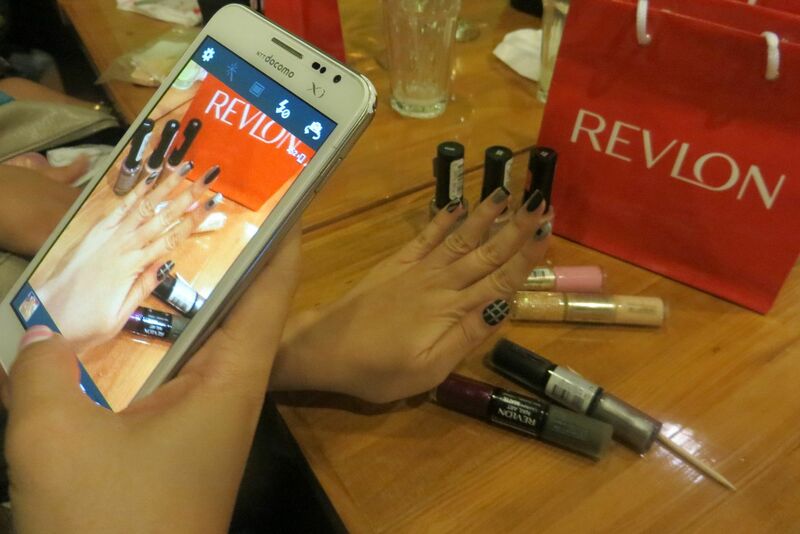 Upon entering, guests saw Revlon loots bags and then some nail art stuff on the table. 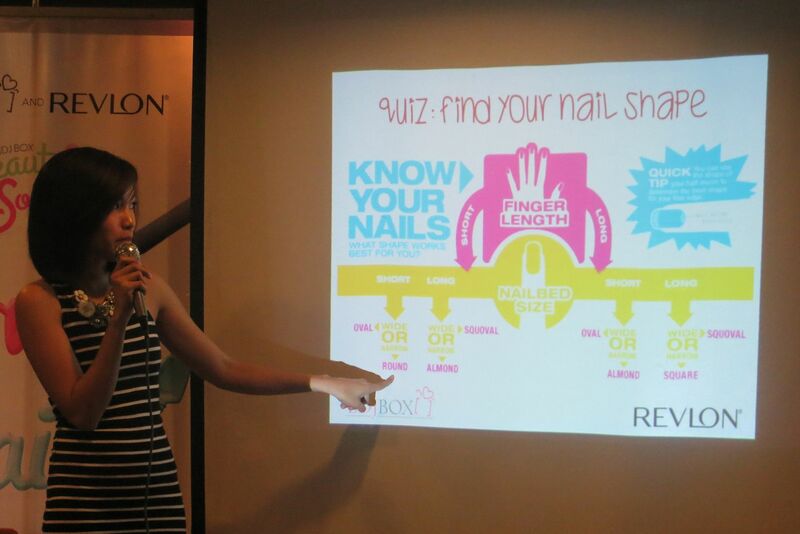 We were taught some of the basics in nail art by Ms. Nicole Romero, BDJ's Beauty Minister. 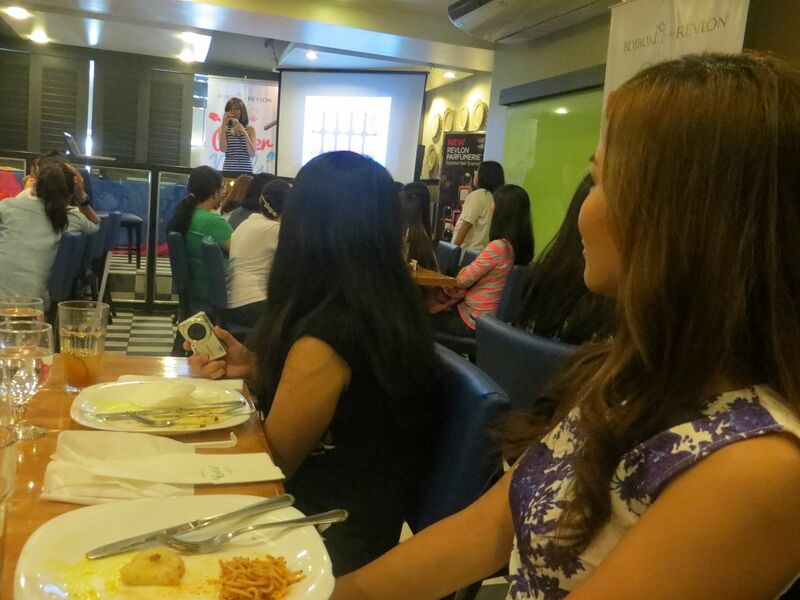 After the short talk came the fun part! 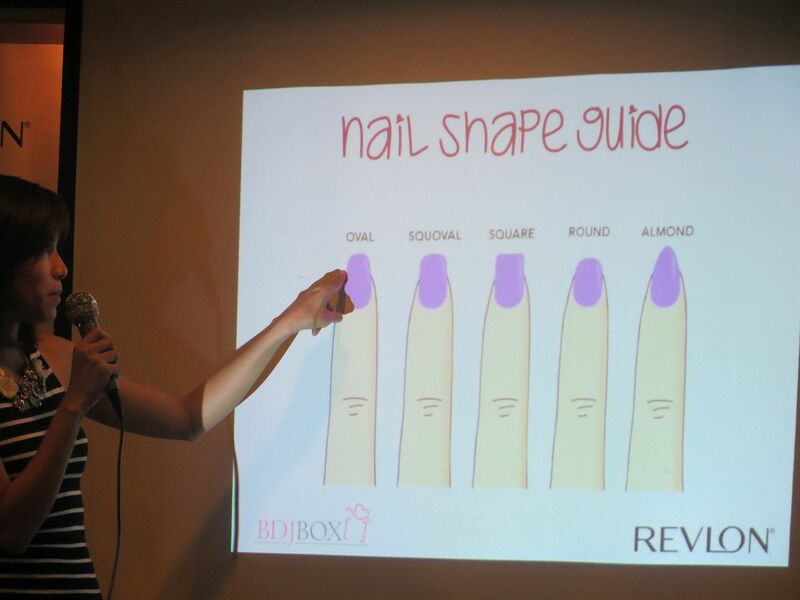 The actual NAIL ART! Yay! 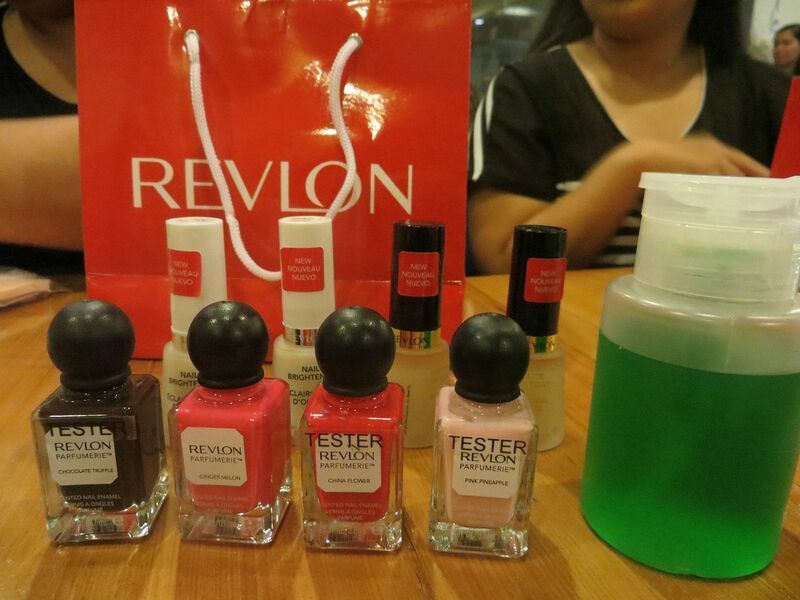 We got to try Revlon's new nail polish line - the Revlon Parfumerie! They come in really cute bottles and in really nice colors. And the polish really have a nice scent- a mix of candy scent, bubble gum scent and kisses scent. It's really sweet. 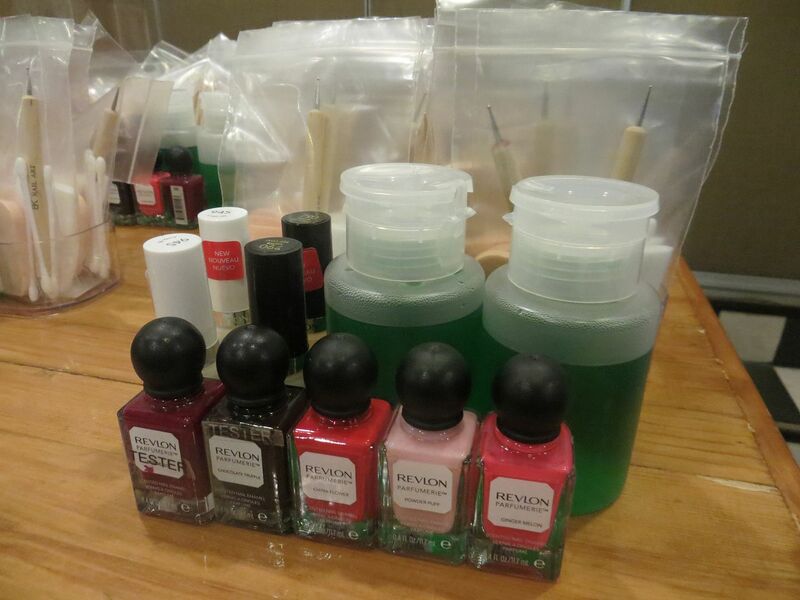 None of the toxic scent that usual nail polishes have. And the scent lasts long, too. Its been a day since I did my nails but the scent still lingers! 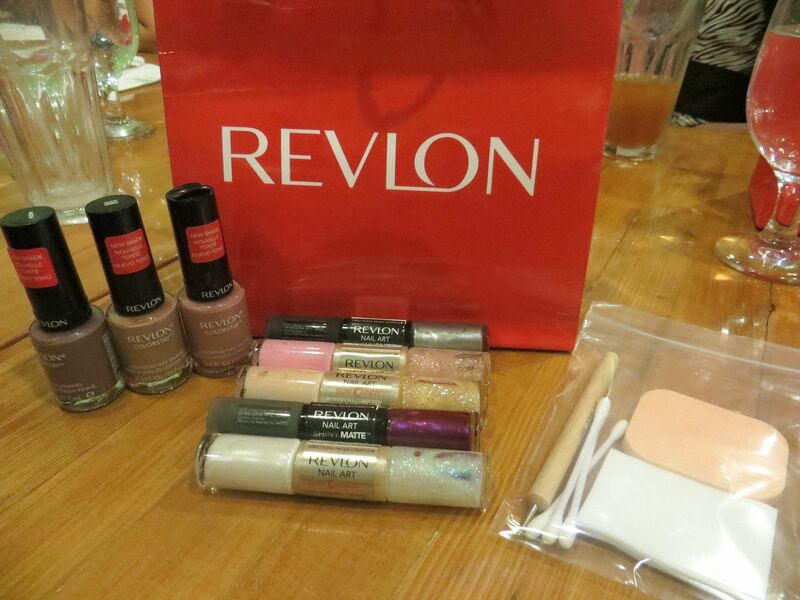 Inside the loot bag are lots of Revlon nail polishes! Clearly, I enjoy doing my nails! 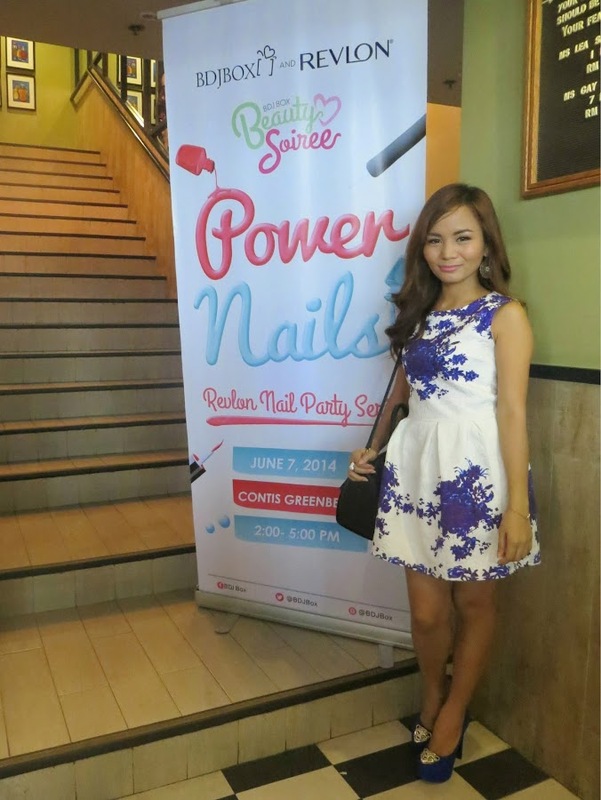 We were given 30-45 minutes to have fun, play with the nail polishes and create our own designs on our nails. My mind was blank, though. haha. Despite having nail art tutorials on my Youtube channel, I didn't know what design to do. Also, I had to keep in mind the colors that were available. 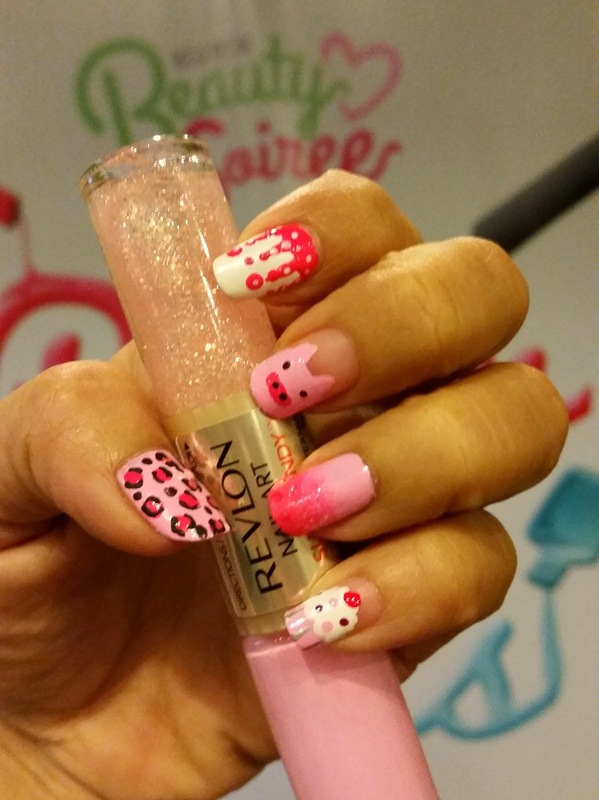 I ended up creating design using pink polishes. After that, we uploaded our designs on Instagram! I couldn't embed the exact photo that I have on Instagram. So here is the original and uncropped one. I usually do my nails for 2-3 hours, because I'm OC like that. But because we only had 30 minutes, mine was a bit dirty and unpolished. They picked 3 best designs. I was chosen one of the 3. Yay! 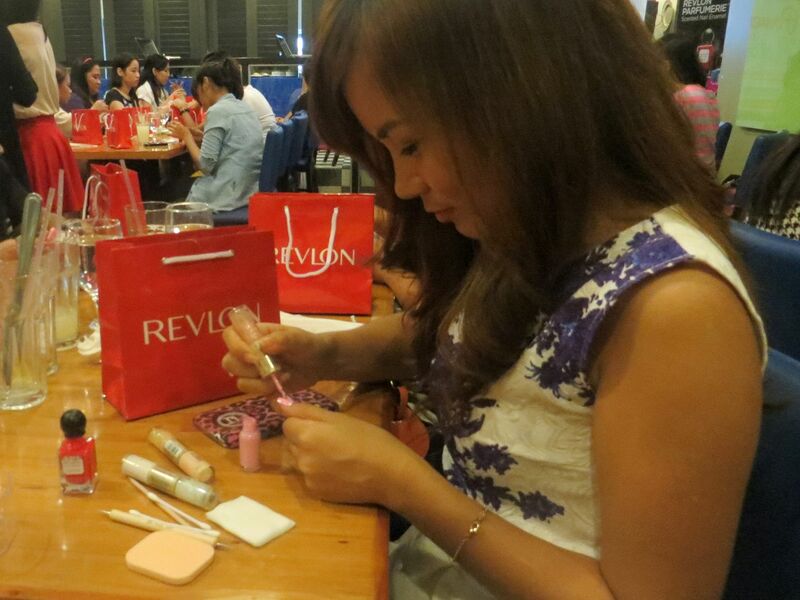 I got a Revlon blusher as a gift. 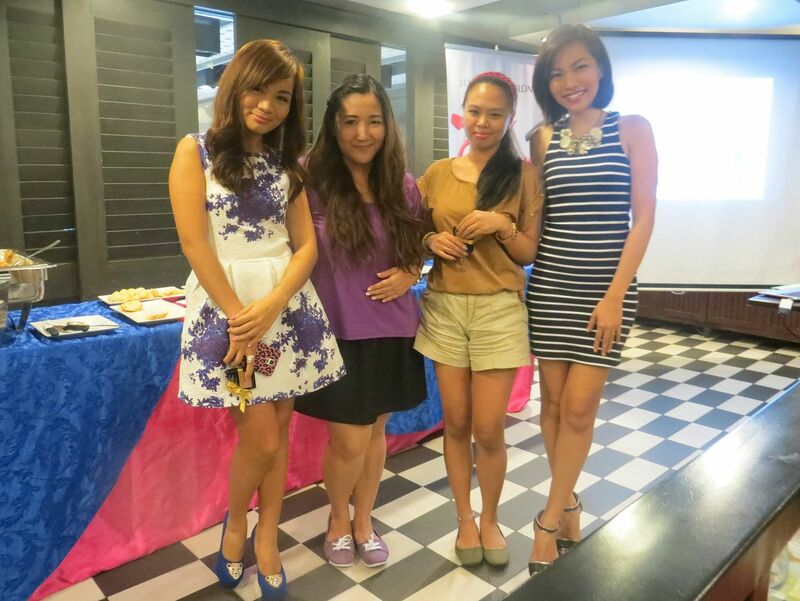 With Ms. Nicole and the other 2 winners! I love their designs as well! I came with my friend Karen because I can't go to events alone. I apologize for the low quality photos, though. I only brought a digital camera.  Check out how you could subscribe to BDJ monthly Beauty Box HERE.